You can stay on brand-name NEXIUM® with innoviCares. When you choose to receive NEXIUM®, AstraZeneca Canada will provide financial savings towards the cost of your prescription. InnoviCares will cover a portion of the cost of brand NEXIUM® and customary mark up to a maximum amount based on a provincial estimate. Instantly generate a card for use in pharmacy today. The card will be sent to your email address. You can also download or print it. * By providing my email, I expressly consent to receiving electronic communications from STI Technologies Limited and understand I can unsubscribe at any time. How can we help you pay less for NEXIUM®? When presented with a prescription at your pharmacy, the innoviCares card enables savings on participating brand-name medications. InnoviCares is funded by participating pharmaceutical manufacturers. innoviCares is the free card that helps save you money on select prescription medications at pharmacy. It can be used with your existing drug plan or on its own and is accepted at 98% of Canadian pharmacies. The card program is operated by STI Technologies Limited, an independent Canadian healthcare technology company that works with manufacturers to offer financial assistance for many brand-name medications and healthcare products, including NEXIUM®. The goal? To help you afford to start – or stay – on the medication and therapies prescribed by your healthcare team. 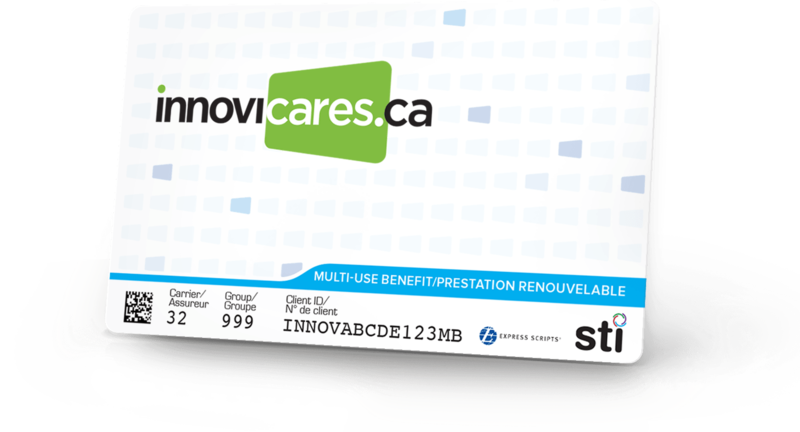 InnoviCares works like any other drug plan card. Simply take the card to your pharmacy along with your prescription for Nexium®. The card will pay a portion of the cost of your prescription automatically, and you don’t have to fill out any paperwork and submit your claim. If you’ve registered your card, you can log in to your innoviCares profile at any time to see your savings, track your medications and use the innoviCares healthcare management tools available online. How does innoviCares help you pay less for brand NEXIUM®? AstraZeneca Canada, the manufacturer of NEXIUM®, has committed to fund this benefit through a partnership with innoviCares. Your innoviCares card will cover a portion of the cost of a prescription for brand-name NEXIUM® so that you can access NEXIUM® at a similar price to the generic molecule - esomeprazole. The card will cover customary mark up and dispensing fees to a maximum amount based on a provincial estimate. AstraZeneca Canada is one of many Canadian pharmaceutical companies that have committed to fund similar programs through innoviCares. That means over 100 brand-name medications and products are now available at an equal or similar price to generic alternative(s), all with just one card†. Availability may vary by province and over time, and can end at the manufacturer’s discretion. Patients are happy to know that there is an alternative to "just taking what they are given". Having a cancer diagnosis can have a significant financial impact for patients, so having a benefit like this is very welcome! Our main focus is to assist patients to gain access to the medications that are necessary in their treatments. InnoviCares is another community partner we use to assist us with accessing additional cost savings to the patient. †Availability may vary by province and over time, and can end at the manufacturer’s discretion. NEXIUM® is a registered trademark of AstraZeneca AB, used with permission.